Professional mold removal services are in high demand in Atlanta, Georgia. One reason why is that this region’s humid climate makes it easy for mold to grow. 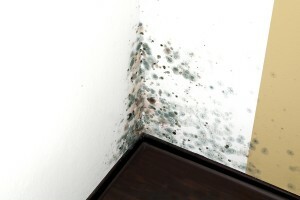 Mold depends on a water source, and it can thrive here based on the moisture in the air alone. Plus, homes in this area often have dark and poorly ventilated basements and crawlspaces that provide the ideal environments for mold growth. Mold can grow in other spaces as well. Like basements and crawlspaces, attics can provide all of the conditions that mold needs to thrive, especially if a roof leak lets in additional moisture. In fact, mold removal services may be needed in virtually any part of your Atlanta, GA, home or business, if a water leak or flooding provides the moisture that mold needs to develop. Even without a water leak, a space such as a bathroom can provide this moisture through normal use – for instance, from people taking showers without allowing the space to properly ventilate. No matter the location or extent of your mold problem, you can rely on Abatement Solutions, Inc. to provide a prompt and effective solution. We are a trusted, full-service mold removal company that serves realtors, residential and commercial property owners, and property management companies in Atlanta, GA. We use the most effective mold removal tools available and promise clearance letters that certify we’ve made the living/working spaces we treat safe for inhabitants. Contact us today for more information.